Wow! 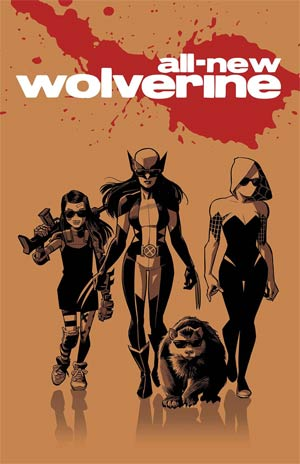 Has it really been a year since Laura first popped her claws as the Marvel Universe’s newest Wolverine? Honestly, I think I’ve been having so much fun reading this series that I simply lost track of the time. That said, who doesn’t like having more of a great thing, am I right? And to that, who doesn’t like sharing their thoughts about a fun and hilarious comic book that’s not only worth that $4.99 price tag, but also has a lot of old school charm to it as well? Taking place before the events of Civil War II, this annual is packed with delightful comedic beats centered around a classic Freaky Friday brain switcharoo between Laura and Spider-Gwen from Earth-65. 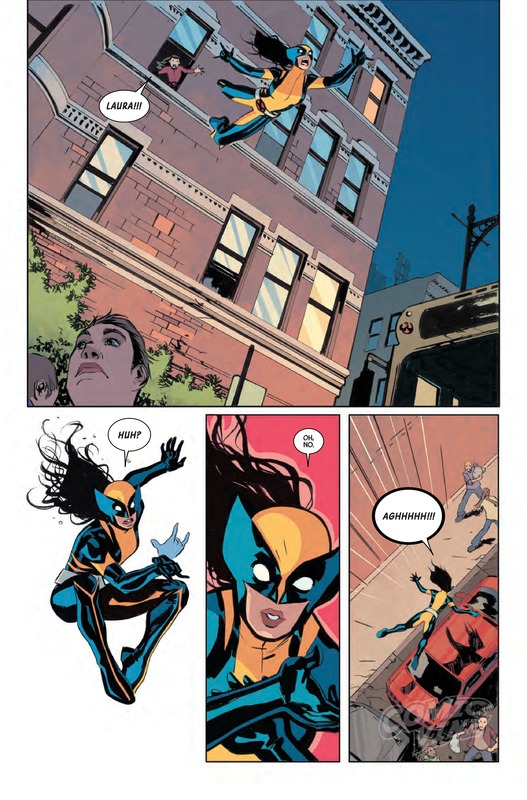 Here’s what you need to know: There was a big, trans-dimensional flash of light outside of Laura, Gabby, and Jonathan the actual wolverine’s apartment, which then caused both Laura and Gwen to exchange bodies. Now, it’s up to both ladies to sort out their borrowed powers and discover who’s behind this seemingly nefarious plot. It’s going to take teamwork, a little help from Earth-65’s Reed Richards, and a whole lot of patience if they’re to be successful. 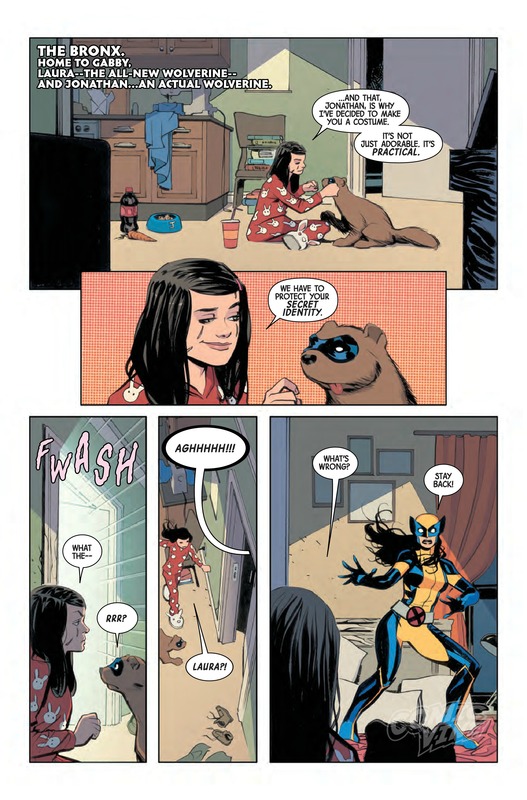 There’s a lot to enjoy about the All-New Wolverine Annual #1. For instance, I like how the laughs and zany circumstances of the issue begin on the very first page. Tom Taylor and artist Marcio Takara waste no time in giving us a sneak peek at Jonathan’s new and adorable crime fighting disguise, and introducing us to a hilariously frantic Laura/Gwen. Following that bit is a moment of pure comedy gold, as a mis-appropriation of powers pretty much sets the pace for this out-of-body adventure. 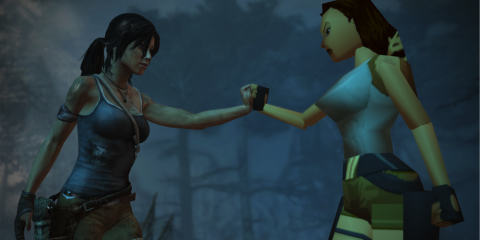 Something that took me a bit by surprise in regard to this issue, is the team-up chemistry between Laura and Gwen. Taylor and Takara demonstrate a real synergy here as both the dialogue and art lend to some brute-force detective work and dazzling displays of power from both heroes. 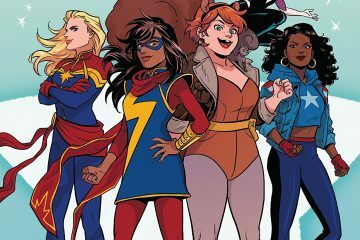 Seriously, this book really makes me want a Laura/Gabby/Gwen mini-series. Make it happen, Marvel! Okay, so here’s the deal – if you’re looking for me to seek out something negative to say about this book, you’re out of luck, Bub. I honestly enjoyed every page. From the “What the what?” villain to the face-palming moment when Gwen doesn’t take into account the positioning of her own snikt, it’s a solid and fun issue from beginning to end! I know that some fans will thumb their nose at the $4.99 price tag of this annual, but I am here to tell you that it’s well worth the price of admission. Verdict: Buy it! If you’ve been enjoying Laura’s turn as the Wolverine than this is a no-brainer. It’s a tear-jerking issue that will be sure to keep you in stitches while you wait for the continuation to last month’s epic cliffhanger. How could I not listen to “Knife Party” by the Deftones while writing this review?